SEAN JONES AND VANESSA GERMAN LIVE IN HOMEWOOD!! I was born on November 29, 2015, in Dayton, OH. My parents moved to Pittsburgh, PA when I was still an infant so I grew up in Pittsburgh, PA (Homewood-Brushton). I graduated from Westinghouse High School; moved to New York City, and spent my entire career as a lyricist, arranger, and composer for Duke Ellington. The Mad Hatters "Body and Soul" b/w "Sweet Sue"
This has been a tremendous year for honoring Billy. It has been an international affair. 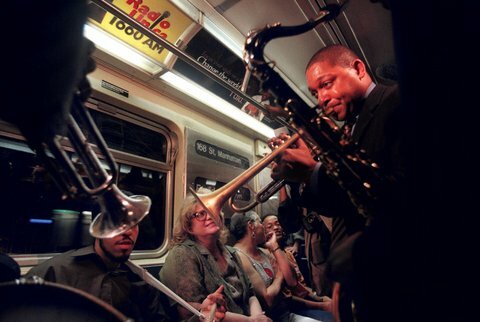 “We celebrate the centennial of Mr. Strayhorn by saluting one of the most meaningful compositions in the jazz canon, as we also salute our public transit system,” Wynton Marsalis, the trumpeter and artistic director of Jazz at Lincoln Center, said in a statement. Yours are the kind of comments this network craves... true, enthusiastic and educational. Your experience as a performer/listener is fading out in the younger generation because they have been denied exposure to music being distracted by so many other more superficial options. It's not their fault at all but they have been conditioned to think that nothing older than they are is important. Yet the things they calim to enjoy the most were created by the older generations not them. Good music never loses its value or appeal just as the sounds of nature have the same value though unchanged for eons. What Strayhorn did with 12 notes resulted in thousands of songs, most of them not yet heard. When they become part of the public repertoire will they be considered new? We will be discovering Strayhorn music for centuries to come if we survive as a species and it will always be right on time. Your presence in the audience was an inspiration to the performance because you have the ears to drink it all in. Leave it toNelson Harrison, to put together the tribute to Billy Strayhorn thing. Pretty much any endeavor of Dr Harrison is first class...and so rewarding, for all who are wise enough to join in. Ive never been to Westinghouse Hi. I was raised on "the Hill"...Congress St and Wylie Ave, to be exact. I got my first taste of jazz, at the Crawford Grill..at age 14. My initiation was quite by accient...just walkin' past the Grill, when I heard the sound of an Alto, from within. Sunny Stitt...and "that was it"!! Mr Robinson used to let me hang out by the men's room...just to "dig". I was hooked from the very first...an have spent the rest of my life...just digging jazz...be-bop to be exact. Well, just last Saturday I got another taste....of great music...all because Nelson Harrison..like Mr Robinson, tendered an invitation..which I was wise enough to accept. I'd known of Strayhorn's collaboration with the Duke...but not the extent I heard at Westinghouse Hi. From the very first offering, I knew I was gonna experience something very special. I mean, I was really floored by the simply gorgeous compositions of Strayhorn. I felt completely "at home"...and so comfortable. I'm tellin' you...I was totally moved...and intoxicated..by the chord changes...the level of emotion this music heaped on me. This stuff belongs right up there with Gershwin and the most touching pieces ever written by an American, DAYREAM! What a tune! Im a vocalist..out of the Sinatra/Mark Murphy school. You'd better have really good ears...and a real reverence..if you're gonna attempt..Daydream, I thought. Well, I could write several pages, but I'll conclude by congratulating the Strayhorn family, which was in attendance. You should be so proud. I wanted to just tell them how I felt. Driving home I was humming a couple of Strayhorn's works. I'll certainly include them in future gigs. Thanks Nelson for the invitation...and...EDUCATION! !